We’d love your help. 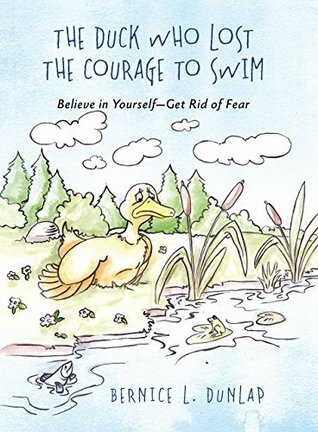 Let us know what’s wrong with this preview of The Duck Who Lost The Courage To Swim by Bernice L. Dunlap. Goldie and Snowflake and Swayback are good friends—and as ducks, they enjoy a good swim in the lake every day. But when Goldie has a scary dream about drowning, she wakes up too afraid to swim and refuses to go into the water. Will this little duck’s friends be able to help Goldie find her courage once again? Find out in this delightful tale! Published January 2nd 2017 by Outskirts Press, Inc.
To ask other readers questions about The Duck Who Lost The Courage To Swim, please sign up.